Pregnancy is perhaps the most beautiful phase in a couple’s life. While most couples are excited at the prospect of a pregnancy, many of them seem a tad bit confused and nervous. With pregnancy, comes a lot of responsibility towards yourself as well as towards a new life springing up in your uterus. Even though you might be consuming loads of vitamins and minerals in your diet, you might still be anxious and worry about the health of your baby. Most people are unaware of what foods should be consumed during pregnancy and what food items need to be avoided. Pregnancy is an extremely sensitive phase in a woman’s life and extra care needs to be taken of the dietary requirements and other health related problems. 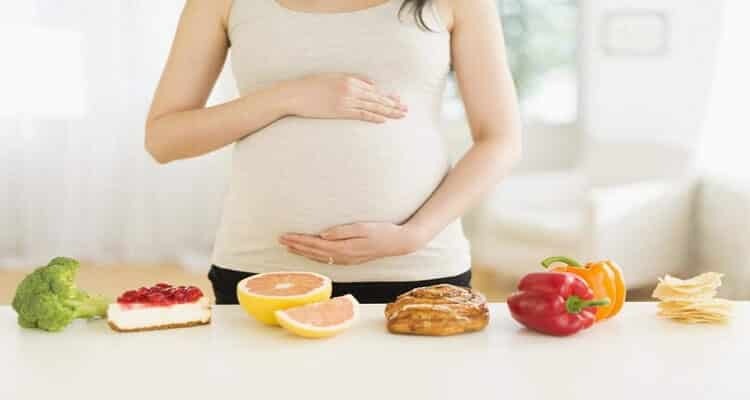 Moreover, your pregnant status allows you to binge on extra calories and have a fill of your favorite desserts without worrying about weight gain. Your appetite speeds up but that does not mean you can have just about anything during pregnancy. Nutritional requirements need to be taken care of. Here are 10 delectable food items that can be enjoyed during pregnancy! A bowl of flavored yogurt! You can make yogurt cool, aromatic and also add an extremely nice flavor to it. This is one food item that cannot be missed. Garnished with dry fruits, it can be eaten frozen. Also, you can load it with exotic fruits to make it extra tasty. What’s more? It has as much calcium as milk and is also loaded with protein and folic acid. Yogurt can be eaten as such, flavored, with fruits or dry fruits. It can also be blended with granola bars and can be used instead of cream in sandwiches and salad dressings. Kiwi fruit is rich in Vitamin C and is specifically known for its laxative effects. Kiwi fruit has significant levels of dietary fiber and carotenoids which are extremely good for health. It reduces the risk of blood clots and platelet aggregation during pregnancy. Sliced kiwifruit can also be used as a garnish in various creams, fruit cakes and other sweet and savory dishes. Kiwifruit jam can also be consumed. The fruit is extremely renowned for its soft texture and sweet, but unique flavor due to which it is liked by pregnant ladies. Broccoli is rich in calcium, Vitamin C, folate and other essential nutrients which are required for a pregnant woman. It can either be had in the form of juice or as a cooked vegetable. It does wonders for your taste buds as well as for the health of the baby. We all have grown up learning the benefits of this green, leafy vegetable called spinach. Spinach is rich in almost every nutrient. It contains loads of folic acid, iron, Vitamin A and calcium. Spinach is extremely healthy for both the mother and the baby and must be incorporated in your diet in adequate proportion during pregnancy. It can either be eaten raw in salad or can be cooked in the form of a vegetable. It can also be layered in lasagna for a tasty meal. Who doesn’t like fresh, juicy golden mangoes? Mangoes are an all time favorite considering that they are eaten in almost every country. They play a vital role in enhancing the baby’s health. Mangoes contain Vitamins A and C and also potassium. They can be relished raw or can be eaten as shakes or ice creams. Mango custards and mango deserts are extremely delicious. To add to the flavors, mango smoothies and mango cupcakes are an instant hit. Enjoy your pregnancy while gorging on mangoes. Walnuts act as a perfect energy booster during pregnancy. The protein, fats, amino acids and dietary fibers contained in walnuts can do wonders for the health of your baby. Walnuts are essentially a nutrient rich food and can be taken anytime, anywhere. Just like a snack, you can munch on walnuts while on the go. You can also have them as an addition to your salad. There are a variety of beans to choose from. You can either opt for black beans, chickpeas or lentils and navy beans. Pinto beans are also nutritionally very helpful. Beans are rich in protein, folate, calcium, zinc and iron. However, the best thing about beans is their high fiber content. At the time of pregnancy, fibers are a woman’s best friend and should be incorporated in the diet. We often tend to neglect the importance of fibers in our daily life. However, it is advisable to intake more and more dietary fiber at the time of pregnancy in order to avoid hemorrhoids and other gastro intestinal tract related problems. Food items composed of whole grains are also high in fiber and vital nutrients that are required for the protection of the baby. Munch into those pop corns and enjoy your pregnancy. There is no joy comparable to this joy of food treats when pregnant. Oatmeal, barley, whole wheat breads, pastas and noodles are worth gorging on. Do not fear the potential calorie gain. Just munch on and enjoy the comforting of not having to worry about weight gain because you are pregnant. Whole grains do not cause weight gain anyway! Salmon is considered to be an extremely healthy fish because of its high protein, high Vitamin D and high omega-3 fatty acids content. Omega-3 fatty acids are extremely good for your baby’s development, therefore salmon must be consumed as it is a rich source of omega-3 fatty acids. Salmon sashimi and sushi can also be enjoyed. However, most fish contain mercury including the salmon, which is a compound that is detrimental to the developing nervous system of your baby. Therefore, only low mercury fish should be consumed in right amount that is no more than 12 ounces per week. We all have grown up eating eggs every weekend. Be it fried omelette, scrambled eggs or boiled eggs our good old eggs never cease to make us smile. What if we give a wonderful twist to it? Imagine eggs between slices of bread toasted with lots of butter. It is a sheer delight! Eggs make for a delicious meal. In addition to that, eggs are rich in quality protein which is extremely essential for the growth and development of the baby. Protein needs of the mother are also taken care of by eggs. Eggs promote brain health of the baby and are cheap, easy to cook and delicious. Eggs are in fact the best meal that a pregnant woman can have.